Workers frequently encounter wage and hour violations in the workplace but are often too intimidated to pursue a claim against their employers in civil court. Time constraints, expenses, the potential for verbal confrontation, and the adversarial nature of litigation discourages most workers. Fortunately, there is an alternative! Instead of filing a civil action seeking judicial relief from a court, employees can file a California Labor Board complaint seeking administrative relief to recover unpaid wages. There are various benefits to making a wage claim through the Labor Board (otherwise known as the “Division of Labor Standards Enforcement” or “DLSE”) vs. filing a formal lawsuit in the Superior Court. But there may be even more advantages to hiring an labor attorney to file a traditional civil lawsuit in court, these include: the ability to recover your attorney’s fees and court costs from the other side, a longer four year statute of limitations for unpaid wages under Business and Professions Code 17200, and better enforceable options for obtaining discovery from the other side (obtaining paper records, testimony from witnesses, etc needed to prove your case). Keep reading this free article to learn more about your potential options. This guide will provide you with some of the resources needed to bring a California wage claim on your own. Alternatively, if you would rather have a licensed California employment lawyer perform all the leg work on a contingency basis (percentage of the recovery), you can fill out our form for a free consultation. What Wage & Hour Disputes Does The Labor Board Handle? What Are The Advantages & Disadvantage vs. Civil Court? Do They Handle Claims For Independent Contractors? Can The Parties Do Discovery? What Happens If My Employer Fails To Appear? What If My Employer Still Does Not Pay? First, start by completing the DLSE’s Form 1-Initial Report or Claim. This form can be downloaded here. If your work hours varied week to week you will also have to fill out Form 55. If you need help filling out the individual entries in the form, read these instructions. Second, take the completed form and an extra copy to your local DLSE district office (closest to where you worked, see below for a list of offices) for filing. The clerk at the intake window will review the completed forms for any errors and file the original and stamp the extra copy which you will maintain for record keeping. Step 1: After you file your claim, your case will be docketed, and assigned a case number. A Deputy Labor Commissioner will also be assigned to handle your matter. Within thirty days, the DLSE will determine what necessary action to take. A letter will be sent to your home describing the next steps in the process. Step 2: A formal preliminary investigation will not be performed. Instead, your assigned Deputy Labor Commissioner may contact you by phone to discuss the issues identified in your claim. This opportunity will also be used to discover whether your claim has validity, contains sufficient information, and whether there is jurisdiction for the matter. The Deputy Labor Commissioner will also verify the total amount of wages and penalties due, and the identity of your employer. Step 3: Next, a written “Notice of Claim and Conference” will be served on the parties. This form notifies your employer that a wage claim has been filed. It will also describe the labor violations you alleged in the complaint, as well as the remedies sought. Finally, the form will state the scheduled date and time of the informal conference. Step 4: At the informal conference each party will appear at the assigned local district office. The informal conference serves as a forum for mediation, and a good opportunity for the parties to resolve their dispute. You will be expected to bring your supporting documentary evidence (Form W-2, Form 1099, work schedules, pay stubs, etc) with you to the conference. You should come prepared to discuss the facts of your case in detail with the Deputy Labor Commissioner in a persuasive manner. You should also have a dollar amount in mind that you are comfortable to settle the case. During the conference, the parties will be separated into different rooms and the Deputy Labor Commissioner will shuttle back and forth between the rooms, relaying each party’s offers and terms of settlement to try and resolve the dispute. Often times the parties will reach a settlement which requires execution of a general release of all claims. Step 5: In the event the case is not settled at the informal conference, it will be set for hearing. 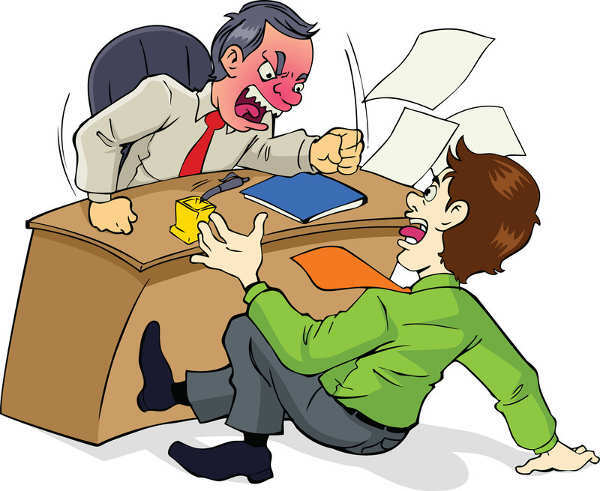 The Deputy Labor Commissioner will prepare an administrative complaint, which will be signed by you (the claimant) and served on your employer along with a notice of Hearing form and a blank answer form. Within 10 days after the service, your employer will have the opportunity to formally respond by completing and filing the answer form. The answer will state your employer’s defenses, as well information rebutting the factual allegations of your claim. • Rebut evidence against the party. Step 7: Within 15 days after the hearing, the Deputy Labor Commissioner will file and serve a copy of the order, decision, and award on both parties. • Unpaid Wages: If employer has withheld wages, it means that they have also failed to pay minimum wage. California law provides liquidated damages (double the amount illegally withheld), as well as attorney fees and costs to the prevailing party. • Overtime: Means 1.5X regular rate of pay for work performed: 1.) in excess of 8 hours in one workday, 2.) in excess of 40 hours in one workweek, or 3.) on the seventh consecutive day in a workweek. 2X regular rate of pay for work performed: 1.) more than 12 hours in one workday, or 2.) more than 8 hours on the seventh consecutive day of work performed in a workweek. For a more comprehensive explanation check out our guide here. • Last Paycheck Claims: Employer must pay all compensation owed on the last day when a worker is terminated or discharged. If there is a voluntary resignation they must also pay on last day of work unless the employee failed to provide at least 72-hours’ notice. If less than 72 hours of notice was provided, the employer has 72 hours after last day of work to make final payment. You can check out our guide on unpaid final paychecks in California. • Denied Meal and Rest periods: California law requires that employers provide 30 minute meal period for employee who works more than five hours in a workday. A second 30 minute meal period must be provided for work performed in excess of 10 hours. In addition a ten minute rest period must be provided every 4 hours. 1 hour of pay must be provided to employee for each denied/missed meal or rest break. For more info read our article on California meal and rest break policy. • Withheld Tips: Tips are sole property of employees. The employer may not share in the tips or otherwise withhold them. However, any employee in the “chain of service,” including a supervisor, may share in the tip pooling. 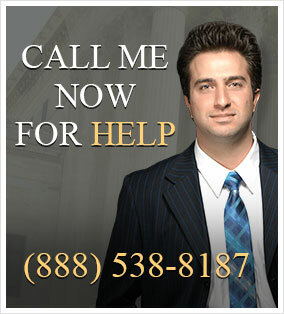 • Easier to do without an attorney representing you. • No discovery permitted, which means it is harder to obtain evidence from your employer. No, only employees can bring claims with the DLSE. True independent contractors must typically bring their action in civil or small claims court. It is important to note however that employers frequently misclassify employees as independent contractors (considered wage theft) so they can stiff them for overtime pay and minimum wages. Claims by misclassified employees can be brought with the DLSE. Check out our guide to learn more about how you can find out if you were misclasssified. No, there is no discovery throughout the process. Both parties, however, can request subpoenas to compel the production of parties, witnesses, and documents. The party requesting a subpoena will be responsible for all costs associated. The Deputy Labor Commissioner presiding over the hearing may issue, modify, or refuse a requested subpoena. If your employer fails to appear at the Berman hearing, the deputy commissioner will not enter a default. Instead, it will be necessary for you to present evidence supporting your claim just as you would if your employer was present. The Deputy Labor Commissioner will thereafter render an order, decision or award based on the evidence you presented and arguments you made. Your employer will still have the opportunity to request relief asking the Labor Commissioner to set aside the order, decision or award. Your employer must pay all wages that were awarded within ninety days of the judgment being entered or the order becoming final. If your employer willfully fails to pay, and has the ability to pay the wages due, he or she is guilty of a misdemeanor. If the total amount of wages due is less than $1,000, then once convicted your employer (for each offense) will be fined between $1,000 or $10,000, or imprisoned in the county jail for no more than six months. If the total amount of wages due is more than $1,000, then once convicted your employer will be fined anywhere between $10,000 and $20,000, or imprisoned in the county jail for six months to one year, or alternatively imprisoned and fined. To learn more you can check out Labor Code section 1197.2(a). Yes, within 10 days of service of the order, decision, or award, either you or your employer can appeal and request a review in the county superior court. The review is “de novo” which means that a superior court judge will decide the case for the first time on the merits. The judge will completely disregard the prior decision and the parties will get an entirely new trial. In order for your employer to appeal, it must first post an undertaking equivalent to the amount of the award. An undertaking is cash deposit or an appeal bond which is issued by a licensed surety. In rare occasions, the court will waive the requirement because of financial hardship. If your employer fails to post the undertaking, most judges will dismiss the appeal if a motion to dismiss is filed. The catch to all this is that the party that loses on appeal must pay the other side costs and reasonable attorney fees. This rule has been implemented to discourage frivolous appeals and waste of judicial resources. 455 Golden Gate Avenue, 10th FL.